Enfield dentist Dr. William Cummiskey, or “Dr. Bill” as he is fondly known by his patients and staff, isn’t just any dentist, and to him, you aren’t just any patient. You are his patient and he cares about your smile. Dr. Cummiskey’s philosophy is one that resides well with his patients—making each visit as comfortable as possible while providing honest assessments of what your teeth need. 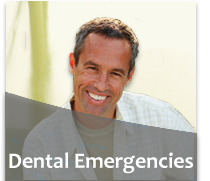 About being comfortable–he understands that many people have high levels of anxiety about dental care. For those people, and everyone else, he offers a gentle touch during the appointment and a warm towel, scented with lemon or lavender, for your face when you are finished. And you can count on Dr. Bill being straightforward with you about your dental needs–that’s just the kind of guy he is. Generations Dental Care can help you with a wide variety of services, from routine cleaning and fillings to procedures requiring more experience and technology. For example, the very latest in dental technology is one-visit dental crowns. 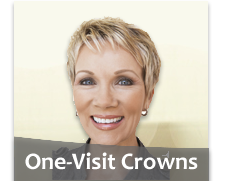 Dr. Cummiskey offers CEREC technology, state-of-the-art equipment that allows for a crown to be made in one appointment instead of the traditional process that takes two appointments and requires wearing an uncomfortable temporary crown between appointments.